Boncz, P.A. (2014). 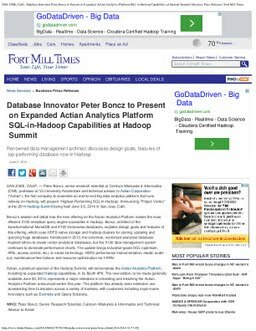 Database Innovator Peter Boncz to Present on Expanded Actian Analytics Platform SQL-in-Hadoop Capabilities at Hadoop - Fort Mill Times Summit.